Many drugs are developed not because there’s a great medical need, but for profit. In many cases, holistic therapies and medicines already exist that can readily take the place of numerous synthetic pharmaceutical drugs. Cannabis is one such therapy. Israel is now using cannabis to treat cancer, epilepsy, Parkinson’s disease, Tourette’s syndrome, and many other conditions. In the US, the fact that cannabis remains classified as a dangerous Schedule 1 drug had nearly stopped all scientific progress. According to the 1970 Controlled Substances Act, Schedule 1 drugs are defined as those having a “high potential for abuse” and “no accepted medical use.” Research to date shows that cannabis meets neither one of these criteria. In 2014, a survey found that the majority of physicians—56 percent—favor nationwide legalization of medical cannabis, with support being highest among oncologists and hematologists. Recent research on the medical applications of cannabis have made it clear that marijuana does not meet Schedule 1 criteria and it is time to revise this classification. In October 2003, the US Department of Health and Human Services (HHS) obtained a patent for cannabis as a “neural protectant” which claims it can protect the brain against stroke and trauma. How can HHS own a patent for the medical use of cannabis, while the federal government still classifies it as an unsafe drug with no medical value? Since Colorado legalized recreational cannabis in January 2014, other states have followed suit with full legalization of cannabis. The number of medical cannabis states continues to grow. At least 14 states have legalized non-psychoactive CBD oil, and 13 states have legalized industrial hemp which has also been prohibited under the cannabis laws. Estimates are that between 85 and 95 percent of Americans are in favor of medical cannabis, and nearly 60 percent support complete legalization of cannabis. In recent studies, the federal government and National Institutes of Health (NIH) confirmed that cannabis was highly effective in killing cancer cells and might be a better option than expensive treatments such as radiation and chemotherapy because cannabis kept healthy cells intact. The multifaceted and complex system of cannabis laws that have been enacted over the past four decades were to prosecute a war on cannabis began by President Richard Nixon when he created the Federal Drug Enforcement Administration (DEA) and the War On Drugs in 1973. That war appears to be winding down and 2015 could be the tipping point against Nixon’s war on cannabis. In December 2014, passage of the 1,603-page federal spending measure included a provision that effectively ends the federal government’s prohibition on medical cannabis and signals a major shift in drug policy. The bill’s passage marked the first time Congress approved nationally significant legislation backed by legalization advocates. It brings almost to a close two decades of tension between the states and Washington over medical use of cannabis. Under the new provision, in states where medical cannabis is legal, DEA agents are prohibited from raiding retail or medical dispensaries. In July 2015, the Senate Appropriations Committee voted 16-14 in favor of an amendment to allow cannabis businesses access to federal banking services. This is a landmark shift that will help states like Colorado to fully integrate cannabis into their economies. 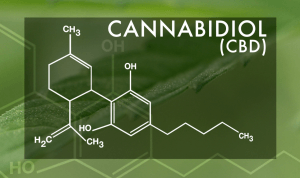 Cannabinoids are the general category of active chemical compounds found in marijuana, or cannabis. Cannabinoids can be separated into several sub-classes, two of which are THC (tetrahydrocannabinols) and CBD (cannabidiols). CBD is the most abundant cannabinoid, making up to 40 percent of the content of cannabis resin. Cannabinoids produce biological effects because, just like opiates interact with our own opiate receptors, cannabinoids interact with specific endocannabinoid receptors located in our cell membranes. We have our own endogenous cannabinoid system. The endocannabinoid system is thought to help regulate nearly every physiological process and plays an important role in maintaining homeostasis. We share this important system with all vertebrate species on earth and have for more than 600 million years. The body makes its own cannabinoids, similar to those found in marijuana but present in much smaller amounts. These endocannabinoids appear to perform signaling operations similar to those of neurotransmitters, such as dopamine and serotonin. Cannabinoid receptors can be found on cell membranes throughout the body and scientists now believe they may represent the most widespread receptor system of all. Two receptor types have been identified: CB1: Cannabinoid receptors that are extremely prolific in the brain (excluding the brain stem) and also present in the heart, lungs, kidneys, liver, pancreas, and other parts of the body CB2: Cannabinoid receptors primarily found in the immune system. Science to date suggests that your endocannabinoid system is integral to many biological processes. As research progresses, no doubt more body functions will be identified that rely on the endocannabinoid receptors found in every cell of the body. The existence of this widespread system of cannabinoid receptors, integral to so many biological functions, is why there is such enormous medical potential for cannabis. Restoring homeostasis, calming an overactive immune system as in autoimmune disease, and even anti-psychotic properties are all promising medicinal uses. Some cannabinoids such as THC are psychoactive which is why under prohibition, cannabis plants were bred over time to produce ever-increasing amounts of THC. Selectively breeding cannabis for high THC can diminish its medicinal value and increase its likelihood of producing adverse effects. Although research is still in its infancy, the cannabinoids appear to work with each other, balancing one another out. Mother Nature created a delicately balanced chemical system in this plant which we have upset. But many new medicinal cannabis strains have now been bred with high CBD and lower THC, or equal CBD and THC, so that just the right balance of cannabinoids for the condition being treated can be prescribed. Both the CBD and THC cannabinoids found in cannabis have been demonstrated to have significant healing qualities for a wide range of health problems including: mental disorders, including Post-Traumatic Stress Disorder (PTSD), mood disorders, and Tourette’s syndrome, pain and insomnia, degenerative neurological disorders, dystonia, and tremor, multiple sclerosis and other autoimmune issues, Parkinson’s disease, cancers of numerous types, seizure disorders, rheumatoid arthritis, heart disease, autism, obesity, nausea, vomiting, and lack of appetite. 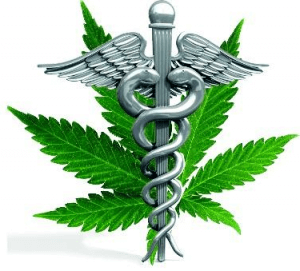 The response of cancer patients to cannabis treatment is particularly encouraging. Cannabis helps with the unpleasant side effects of traditional chemotherapy including pain, nausea, and insomnia. Decades of research and dozens of studies point to cannabis’ effectiveness against many different types of cancer, including brain cancer, breast, prostate, lung, thyroid, colon, and pituitary cancers, melanoma, and leukemia. Study after study has shown that regular cannabis smokers have significantly lower rates of lung and other cancers. The brain’s endocannabinoid neuromodulatory system is involved in a great many physiological functions related to pain. Scientists have hypothesized that individuals with fibromyalgia pain have a dysfunctional endocannabinoid neuromodulatory system. After conducting a study based partly on this hypothesis, the National Pain Foundation concluded that medicinal cannabis may be far more effective at treating pain from fibromyalgia than pharmaceuticals. The study compared Savella, Lyrica and Cymbalta, the top three FDA approved drugs currently prescribed by physicians for fibromyalgia pain. Over 60 percent of the 1300 patients who participated in the study did not receive any pain relief at all from the medications. Only 10 percent felt Lyrica or Savella were effective in any way, and only 8 percent reported receiving any benefits from Cymbalta. However, 62 percent of the patients reported cannabis was “very effective” at relieving their pain and 33 percent reported that cannabis offered them mild to moderate pain relief, while only 5 percent reported cannabis did not help at all. Researchers at the University of California San Diego studied 16 people to test how inhaled cannabis could treat diabetic peripheral neuropathy (DPN) in various doses. Inhalation is different than smoking and is a type of vaporization method. With vaporization the effects are more immediate. The subjects were given four outpatient treatment sessions where they were give a placebo or one of three different doses – low, medium or high – of 1 percent THC, the psychoactive compound in cannabis. Researchers found that patients experienced a dose-dependent reduction in pain from the inhaled cannabis. A 2013 study published in Rheumatology found that rheumatoid arthritis patients had more CB2 cannabinoid receptors on their cells than those suffering from other forms of arthritis. The CB2 receptor is primarily found in the immune system. These receptors are binding sites for cannabinoids. When THC, CBD, or other cannabinoids bind to these cell sites, the compounds make changes in the body. In the case of RA, cannabis acts as a strong anti-inflammatory, reducing pain by activating the CB2 receptors present both at pain sites, and throughout the rest of the body. Cannabis creams are another effective way of administering these cannabinoids to the painful areas. Beta-caryophyllene is present in the essential oils of various plants including rosemary, hops, black pepper and cannabis. Like most terpenes, beta-caryophyllene contributes to the unique aroma associated with plant oils. In 2008, German researchers found that beta-caryophyllene also acts as a cannabinoid by binding to cannabinoid receptors throughout the body. A better understanding of beta-caryophyllene’s properties may help explain why cannabis users often cite relief of anxiety and depression as reasons for their use. Although THC activates both cannabinoid pathways, the CB1 and CB2 receptors -- beta-caryophyllene specifically targets the CB2 receptor and does not produce a high. Previous studies have also demonstrated a role of CB2 receptors in reducing anxiety and depression. The ability of the hippocampus to generate new neurons (i.e., neurogenesis) throughout the lifespan of mammals, including humans, has changed the way we think about the mechanisms of psychiatric disorders and drug addiction. Chronic use of the major drugs of abuse including opiates, alcohol, nicotine, and cocaine suppresses neurogenesis in the brain. But cannabinoids appear to be the only currently illegal drug whose capacity to produce increased newborn neurons is positively correlated with its antidepressant-like effects. Research published in the journals Behavioural Brain Research and Experimental Brain Research demonstrated that even extremely low doses of THC, around 1,000 to 10,000 times less than that in a conventional cannabis cigarette, can jump-start biochemical processes which protect brain cells and preserve cognitive function. As the saying goes, no wonder it’s illegal. But currently, for at least half of the people in the US, medicinal marijuana is truly legal and becoming more so all the time. As headlines and drug recalls have made abundantly clear, many prescription drugs are known to be dangerous. Pharmaceuticals in general are among the highest causes of death in the US. Some drugs have killed tens of thousands of individuals. Vioxx, a pain medication, is one approved drug that killed over 60,000 before being pulled off the market. Decades of research confirms that cannabis is safer and less toxic than many prescription drugs. This includes liver and kidney toxicity, gastrointestinal damage, nerve damage, and of course, death. Cannabinoids often work when pharmaceutical drugs fail, so not only is cannabis safer but it can be more effective in certain cases. One of the strongest areas of research regarding the health benefits of cannabis is pain control. In 2010, the Center for Medical Cannabis Research (CMCR) released a report on 14 clinical studies about the use of marijuana for pain, most of which were FDA-approved, double-blind, and placebo-controlled. The report revealed that cannabis not only controls pain, but in many cases it does so better than pharmaceutical alternatives. Since the increasing legalization of cannabis has spread, deaths due to opiate overdoses have declined in areas where cannabis is legal. In states where medical marijuana is legal, overdose deaths from opiates like morphine, oxycodone, and heroin decreased by an average of 20 percent after one year, 25 percent after two years and up to 33 percent by years five and six. There is no question that cannabis is safer than opiates for pain relief. Opioid painkillers can lead to slowed respiration and death if an excess is taken. The risks are increased if you add alcohol. A cannabis overdose cannot kill you because there are no cannabinoid receptors in your brain stem, the region of your brain that controls your heartbeat and respiration. The statistics clearly show that prescription drugs are much more dangerous. For example, in 2010, prescription drugs were responsible for 16,600 deaths, and prescription painkiller overdoses claimed more women’s lives than cocaine and heroine combined. In the CDC’s Public Health Reports study, prescription drugs were involved in fatal car crashes at three times the rate of marijuana. There has always been an ongoing death rate from use of pain medications as prescribed. Even as prescribed, they’re highly dangerous and they are extremely easy to develop an addiction to. Medications used in for children to control seizures also cause severe toxicities to organs, and many of them are very sedating. The children become unable to function or really to interact because of the sedating effects. Other seizure medications have a side effect of rage and behavioral problems. Unprovoked rage is actually a known side effect of some of the anti-seizure medications. Cannabis and in particular cannabidiol has none of these issues. No toxicities. The main side effect of cannabidiol is sleepiness. As a child gets accustomed to it, that does wear off and the child can be very alert and functional on the cannabis oil. In comparison, cannabis absolutely safer than the seizure medications for children. Even in states where medicinal cannabis is legal, many people find that high quality CBD oils from special hemp that has been bred to produce high levels of CBDs is very effective for pain and anxiety. For those where cannabis is still illegal or hard to get, it makes the advantages of cannabis therapy legal and easily available. After working with various products including legal medical cannabis preparations with many patients over the past ten years, the only CBD oil I recommend is Results RNA CBD Oil. I comes in three strengths: 200 mg., 500 mg., 1000 mg. and 3000 mg. and has worked better than any other brand I have tried or recommended. For pain, I recommend the stronger preparations, 1000 mg. and 3000 mg. The strongest one, 3000 mg. is the most cost effective as the highly concentrated oil gives the same results as the 1000 mg. strength with less needed, and so it will last longer. It has worked better than other pain therapies for fibromyalgia including medical cannabis. It is an excellent addition to Chinese Herbal Therapy for chronic pain and arthritis. It is also definitely relaxing and helps anxiety and insomnia. As the above article has also explained, there are health benefits to taking CBD regularly, and the lower dose preparations, 200 mg. and 500 mg. would be very good for ongoing health support. Cannabis is an ancient and revered medicinal plant and can be used effectively with other herbal medicines and prescription medications. 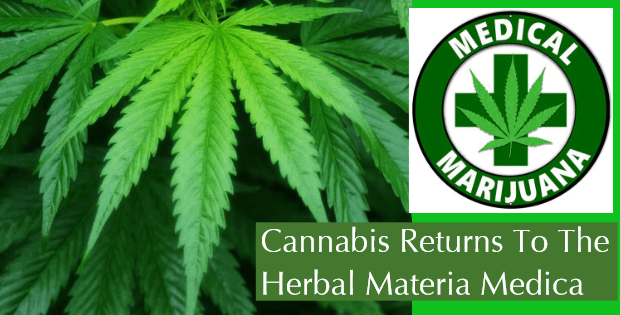 It's return to the herbal materia medica is already solving many serious health and legal issues and this will no doubt allow these important changes to continue to spread worldwide.